What is iTunes Error Code 1671 and why it happens? Before we get into business, let me explain what iTunes Error code 1671 is and why this error occurs. 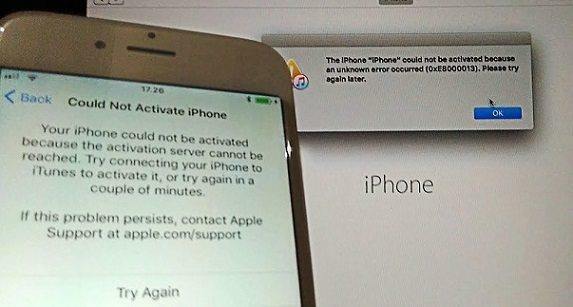 Normally, the Error code 1671 appears when you try to sync, back up, update or restore your iPhone, iPad, or other iDevice with Apple's Server or through iTunes which isn't able to talk to the Apple signing servers. We have several ways to correct this error, which works about 90% of the time and I'll walk you through each to help you find out the best shot for your situation. 1. The easiest and the most effective way is to make sure you are using the latest version of software. Sometimes it's just because you are using a lower version of your iTunes and it doesn't compatible with your iPhone that runs the latest iOS. Check l of them to see if updates are available. 2. Make sure your iTunes is compatible with your iDevice Unplug any unnecessary USB cables so that your iPhone, iPad or iPod is the only current device connecting to your computer. 3. Quit your anti-virus software as it may cause the error and then start the update or restore from the beginning. 4. Try a reset – just hold down the Home button and the power button simultaneously for about 10 seconds until you see the Apple logo. If you see the "Slide to power off" message, just ignore it. It should do the trick now. If you are still reading this tutorial, I guess all those ways have failed you. Below are 2 methods that will definitely fix the error. 1)	Plug in your iPhone, iPad or iPod and iTunes should launch automatically. 2)	Select your device and choose the Summary tab in iTunes. 3)	Follow the directions to start the restore. 4)	Select 'Yes' when asked to backup your data. 5)	The restore process now starts and will finish in about an hour. 6)	Finally, you will be asked if you want to transfer the backup files to your device. After going through all the solutions above, I believe you have solved your iTunes error now. To get more methods about iTunes error 1671, you can go to this page. If you have any questions about other iTunes or iOS problems, just visit the iTunes and iPhone Error Solutions and Guides.